Strong Muscular Woman Working Out With Heavy Ropes. Photo Of.. Stock Photo, Picture And Royalty Free Image. Image 75617872. 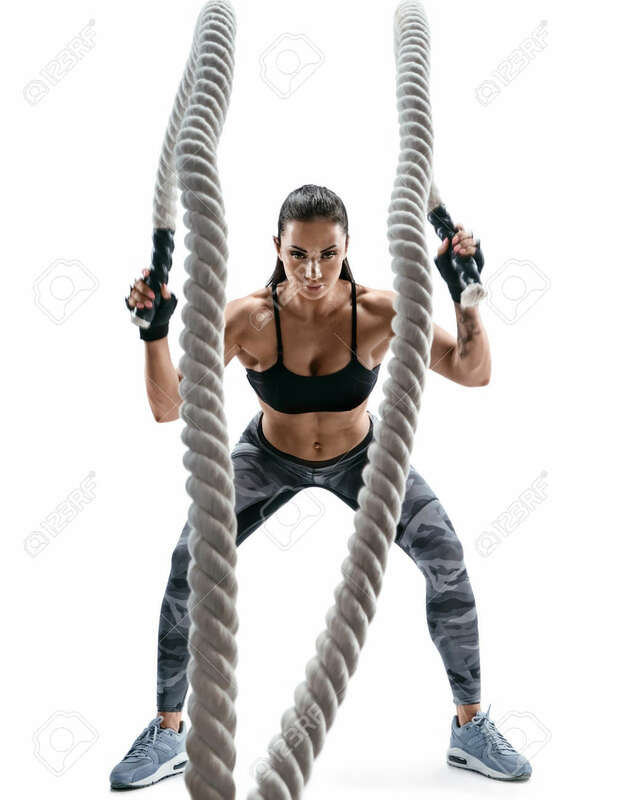 Stock Photo - Strong muscular woman working out with heavy ropes. Photo of attractive woman in sportswear isolated on white background. Strength and motivation. Strong muscular woman working out with heavy ropes. Photo of attractive woman in sportswear isolated on white background. Strength and motivation.